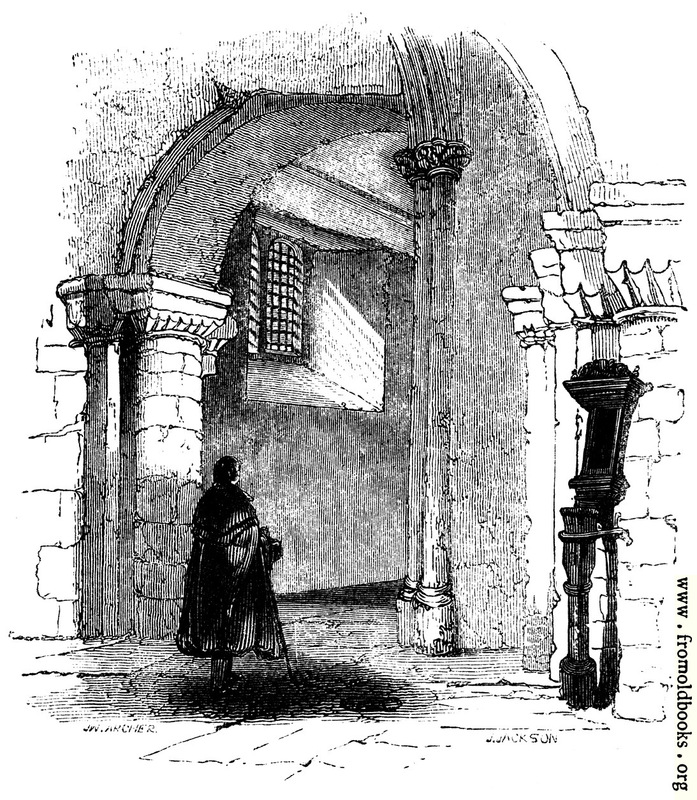 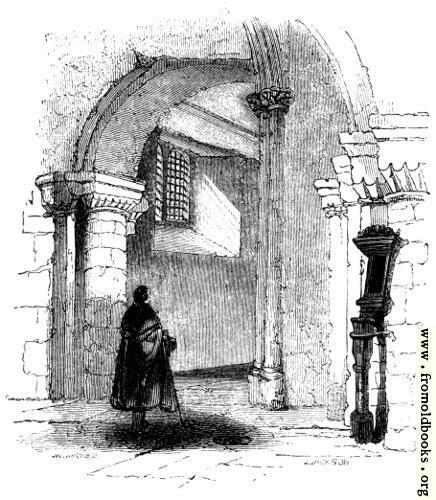 527.—The Western Entrance, Interior, St. Bartholomew’s church. We see the Norman pillars, a stone window with light beams slanting towards the floor, and a notice-board for the hymbs. A figure stands gazing up at the arch.